what challenge you want to set for yourself. The CHALLENGE Tracker (& Raffle form) are in the Library. Use it as a bookmark... fill it out and submit before the next Quarter! 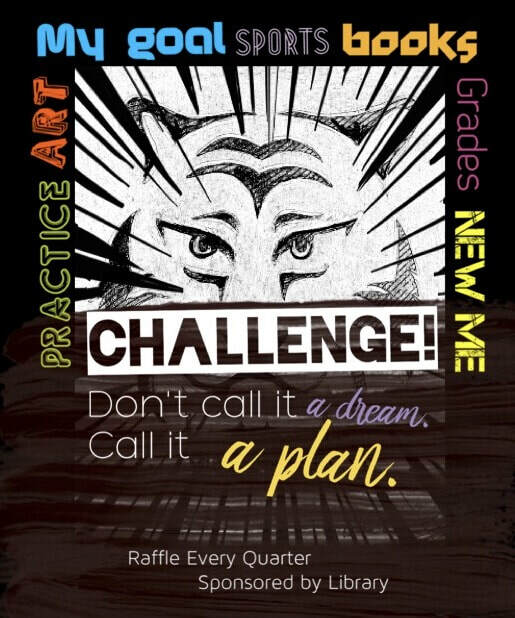 Start second quarter with YOUR CHALLENGE! .... practicing a new song! Fill out (complete at least 75%). by the last day of the quarter! NEED HELP on your CHALLENGE? 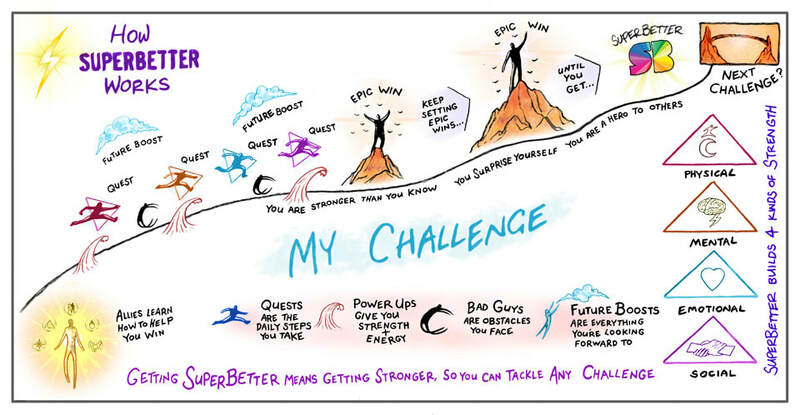 The STORY BEHIND the GAME "SUPER BETTER"